Eagle Chamber 2018 Christmas Party - Important Information! 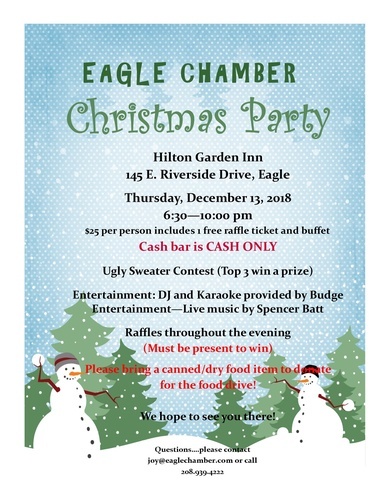 Name: Eagle Chamber 2018 Christmas Party - Important Information! Eagle Chamber Annual Christmas Party! Please remember to bring canned/boxed foods for the donation box!